Our friends up in Odessa are growing! That is good news for those of us who enjoy their beers and are oh-so-sad when the taps run out! Hot of the presses (as of about 30 minutes ago) I got this release from co-owner Clay Yarn. ODESSA, FL – Big Storm Brewery, LLC dba Big Storm Brewing Co. is announcing a brewery expansion for the fourth quarter of 2013. Due to the popularity and increased demand from current distribution partners and retailers across the bay area, owners Mike Bishop and Clay Yarn have plans to increase brewing capacity. 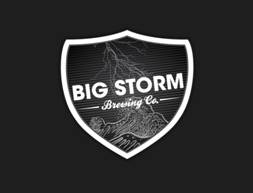 Big Storm Brewing Co. currently operates at a brewing capacity of 40 barrels per month. This expansion would allow for a 400 barrel per month brewing capacity. Big Storm Brewing Co. began production and distribution in July of 2012 providing beer to bars in Pasco, Pinellas and Hillsborough Counties. In August 2012 the brewery taproom opened for consumption on premise, providing several styles of hand crafted ales for those that visit. I look forward to their expansion and seeing what other beers they create! ~ by Sean Nordquist on February 26, 2013.